The two-tone black and navy Solo Velocity backpack is constructed from top-shelf materials. 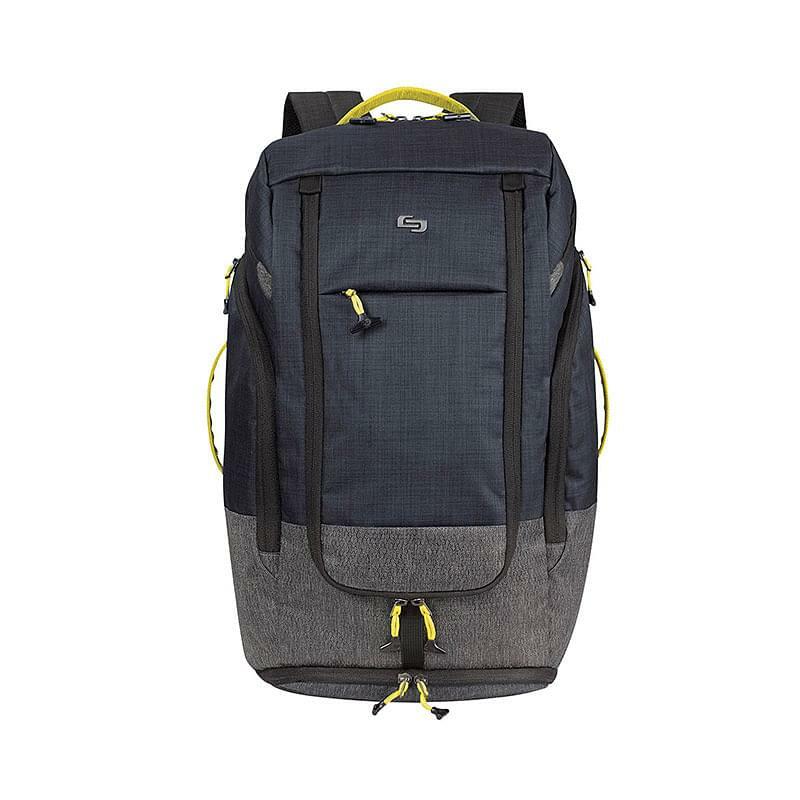 Features include a padded compartment that will hold a 17.3" laptop, tablet pocket, padded phone/media player pocket, carry handles on four sides, T-bar zip pulls, separate shoe compartment with tie-down strap and padded air mesh backpack straps with chest strap. Main compartment features top and body zippered opening and five interior zippered pockets. Side zippered pockets fit most water bottles. Manufacturer provides 5 year limited warranty.